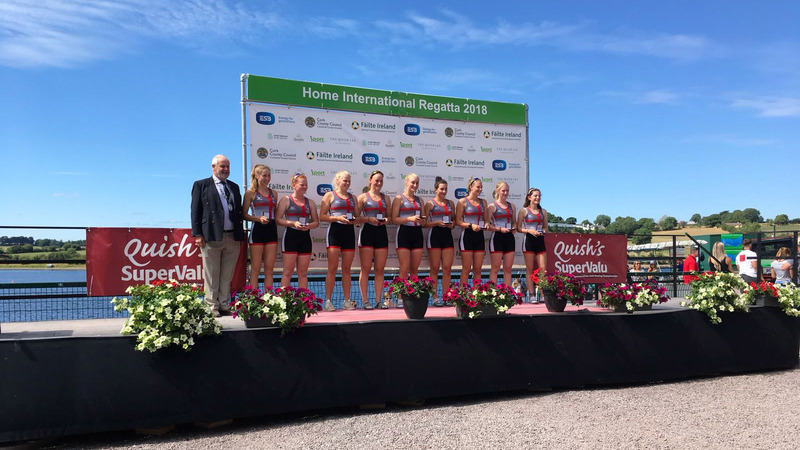 The Home International Regatta is an annual competition that sees junior and senior crews from across England, Ireland, Scotland and Wales compete against each other. Each match has a winner; Junior Men, Junior Women, Senior Men and Senior Women, with an overall winner for the whole event. For some rowers, the England Team is a pathway to the GB Rowing Team. Lightweight rower Charlotte Taylor won for England in 2014 and then went on to represent Great Britain at the Rio 2016 Olympics. Graeme Thomas has also taken a similar pathway, representing Wales in 2012 and now representing Great Britain at a World and European level, including being selected for the Rio 2016 Olympic Games. The 2019 Regatta will take place on Saturday, 27 July 2019 at the The Scottish Rowing Centre, Motherwell, ML1 3ED. All races will be over 2000m. A copy of the selection policy can be found here. Selection policy for the other home nations can be found here. Both the Junior and Senior Team trials will take place at The Royal Albert Dock, London on Sunday, 14 July 2019. The Junior men’s and women’s Coxed fours & single sculls are selected through GB Rowing Team Junior Crew Formation. Entries for trials will open on Monday, 27 May 2019 on BROE2. There will be an entry fee of £20.00 per seat (excluding coxes). For any questions relating to the England Team at the Home International Regatta please email Team Manager, Tim Liversage. No athlete may row/scull/cox for a country in the Match if he/she has rowed/sculled for another country in the HIR the previous year. Having been born in that country. Having a parent or grandparent born in that country. Be a resident in that country for 6 of the 12 months prior to the match and be a member of a club in that country during that time. If an athlete lives in Home Country A, and rows for a club in Home Country B and has competed for that club for more than the previous 6 months, that athlete may compete for Home Country A or Home Country B. Having had 5 years of primary or secondary education in that country. The Home International Regatta is an event which is linked to the England Talent Pathway. As part of the trials process, individuals will be asked to provide anthropometric data as well as information about their training background. Athletes who show the correct characteristics may be invited to be part of the England Talent Pathway programme along with their coaches.